6353200 ACB-08 TOYOTA ACB-08 Road sorter. Spare parts catalog. Service (workshop) Manual. 6353201 ACB1 TOYOTA ACB1 Road sorter. Spare parts catalog. Service (workshop) Manual. 6353202 2ACB1.5 TOYOTA 2ACB1.5 Road sorter. Spare parts catalog. Service (workshop) Manual. 6353203 2ACB10 TOYOTA 2ACB10 Road sorter. Spare parts catalog. Service (workshop) Manual. 6353204 2ACB2.5 TOYOTA 2ACB2.5 Road sorter. Spare parts catalog. Service (workshop) Manual. 6353205 ACB3 TOYOTA ACB3 Road sorter. Spare parts catalog. Service (workshop) Manual. 6353206 ACB30 TOYOTA ACB30 Road sorter. Spare parts catalog. Service (workshop) Manual. 6353207 2ACB30 TOYOTA 2ACB30 Road sorter. Spare parts catalog. Service (workshop) Manual. 6353208 ACB34 TOYOTA ACB34 Road sorter. Spare parts catalog. Service (workshop) Manual. 6353209 2ACB35 TOYOTA 2ACB35 Road sorter. Spare parts catalog. Service (workshop) Manual. 6353210 ACB40 TOYOTA ACB40 Road sorter. Spare parts catalog. Service (workshop) Manual. 6353211 2ACB40 TOYOTA 2ACB40 Road sorter. Spare parts catalog. Service (workshop) Manual. 6353212 ACB5 TOYOTA ACB5 Road sorter. Spare parts catalog. Service (workshop) Manual. 6353213 2ACB5 TOYOTA 2ACB5 Road sorter. Spare parts catalog. Service (workshop) Manual. 6353214 ACB7 TOYOTA ACB7 Road sorter. Spare parts catalog. Service (workshop) Manual. 6353215 ACB7SX TOYOTA ACB7SX Road sorter. Spare parts catalog. Service (workshop) Manual. 6353216 2ACBA20 TOYOTA 2ACBA20 Road sorter. Spare parts catalog. Service (workshop) Manual. 6353217 ACBA4 TOYOTA ACBA4 Road sorter. Spare parts catalog. Service (workshop) Manual. 6353218 ACBH10 TOYOTA ACBH10 Road sorter. Spare parts catalog. Service (workshop) Manual. 6353219 ACBH2.5 TOYOTA ACBH2.5 Road sorter. Spare parts catalog. Service (workshop) Manual. 6353220 ACBJ1 TOYOTA ACBJ1 Road sorter. Spare parts catalog. Service (workshop) Manual. 6353221 2ACBJ1.5 TOYOTA 2ACBJ1.5 Road sorter. Spare parts catalog. Service (workshop) Manual. 6353222 ACBJ10 TOYOTA ACBJ10 Road sorter. Spare parts catalog. Service (workshop) Manual. 6353223 2ACBJ10 TOYOTA 2ACBJ10 Road sorter. Spare parts catalog. Service (workshop) Manual. 6353224 ACBJ2 TOYOTA ACBJ2 Road sorter. Spare parts catalog. Service (workshop) Manual. 6353225 2ACBJ2 TOYOTA 2ACBJ2 Road sorter. Spare parts catalog. Service (workshop) Manual. 6353226 ACBJ5 TOYOTA ACBJ5 Road sorter. Spare parts catalog. Service (workshop) Manual. 6353227 2ACBJ5 TOYOTA 2ACBJ5 Road sorter. Spare parts catalog. Service (workshop) Manual. 6353228 2ACBJM1.5 TOYOTA 2ACBJM1.5 Road sorter. Spare parts catalog. Service (workshop) Manual. 6353229 2ACBJM10 TOYOTA 2ACBJM10 Road sorter. Spare parts catalog. Service (workshop) Manual. 6353230 2ACBJM2 TOYOTA 2ACBJM2 Road sorter. Spare parts catalog. Service (workshop) Manual. 6353231 2ACBJM5 TOYOTA 2ACBJM5 Road sorter. Spare parts catalog. Service (workshop) Manual. 6353232 ACBM10 TOYOTA ACBM10 Road sorter. Spare parts catalog. Service (workshop) Manual. 6353233 ACBM2.5 TOYOTA ACBM2.5 Road sorter. Spare parts catalog. Service (workshop) Manual. 6353234 ACBM20 TOYOTA ACBM20 Road sorter. Spare parts catalog. Service (workshop) Manual. 6353235 ACBM5 TOYOTA ACBM5 Road sorter. Spare parts catalog. Service (workshop) Manual. 6353236 ACBP1.5 TOYOTA ACBP1.5 Road sorter. Spare parts catalog. Service (workshop) Manual. 6353237 ACBP10 TOYOTA ACBP10 Road sorter. Spare parts catalog. Service (workshop) Manual. 6353238 ACBP20 TOYOTA ACBP20 Road sorter. Spare parts catalog. Service (workshop) Manual. 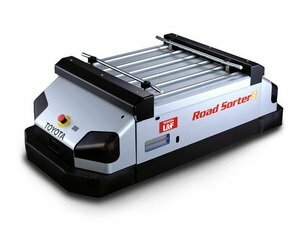 6353239 MS05 TOYOTA MS05 Road sorter. Spare parts catalog. Service (workshop) Manual. 6353240 MS10 TOYOTA MS10 Road sorter. Spare parts catalog. Service (workshop) Manual. 6353241 SS05 TOYOTA SS05 Road sorter. Spare parts catalog. Service (workshop) Manual.